The technology nowadays is undeniably stronger and provides great benefits to our everyday lives. But if you think only the first world countries can invent and create such noteworthy inventions, then think again. A great invention that can be an answer to some problems in transportation was made in a third world country. Yes, a transportation vehicle that can tackle land and water is proudly from the Philippines. Meet Atoy Llave, the man responsible for Toy Bodykits and its company's aftermarket exterior designs that are well loved and well applauded by Filipino car lovers makes another impressive creation that can leave anyone in awe. Llave created the Salamander amphibious trike. In partnership with a new company known as H2O Technologies which was developed with the firm's technical head, Lamberto Armada comes the Salamander amphibious trike. The term "amphibious" may lead you to wonder why it is called as such. The newest creation is truly amphibious, the Salamander impressively can travel both on land and in water. Amazing right? Llave's passion to create something really useful for the own good of his countrymen and to also make a mark on global automobile map drove him to his amazing creation. For a country who is populated with islands and truly prone to flood, The Salamander is a great answer to the Filipinos' issues on transportation. But in order to give this creation a great push is funding, Llave is positive that as soon as his fellow countrymen notice this bright invention, Help with funding will be no longer a problem. 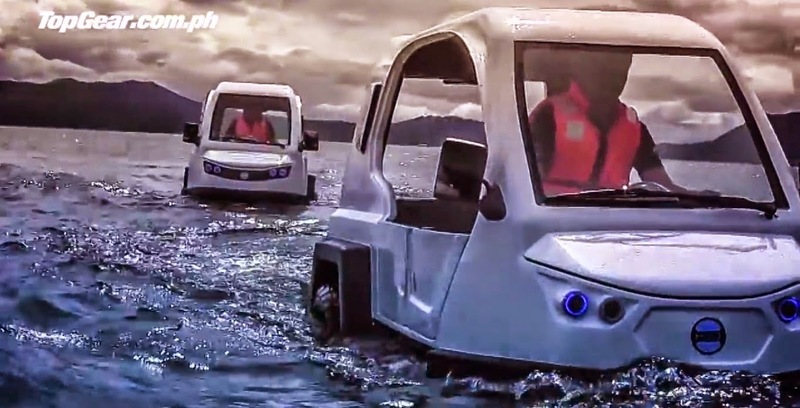 It will be a shame if Filipinos ignore another bright invention like this one, not just a car or a vehicle, The Salamander may be the answer to the ongoing problems on Philippine transportation.